I have read so many books that talk about how to manage your finances the right way.. Books like Robert Kiyosaki’s Rich Dad Poor Dad, Stephen Covey’s 7 Habits of Highly Effective People, Napoleon Hill’s Think and Grow Rich and other strategic insights/guides/how-to’s that strongly suggests changing one’s attitude to obtain your goals and become successful. These books have similar ideas which focus on positivity and getting out of your comfort zone. Although these books have inspired me to be goal driven and keep continuing to learn new skills,, I haven’t encountered a book that tackles about investing on a different approach. 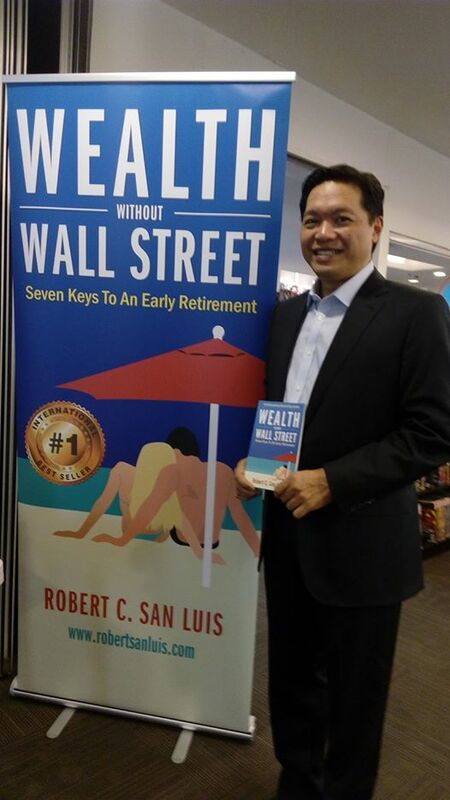 I mostly hear these multi-millionaire experts often suggests to invests your hard-earned moolah on stocks and bonds (which makes a lot of sense but can be a risk) until I read this book Wealth Without Wallstreet by Robert San Luis,-an author and successful investor and sought after real estate investment expert with a passion for leading driven individuals to achieve their dream of financial freedom. 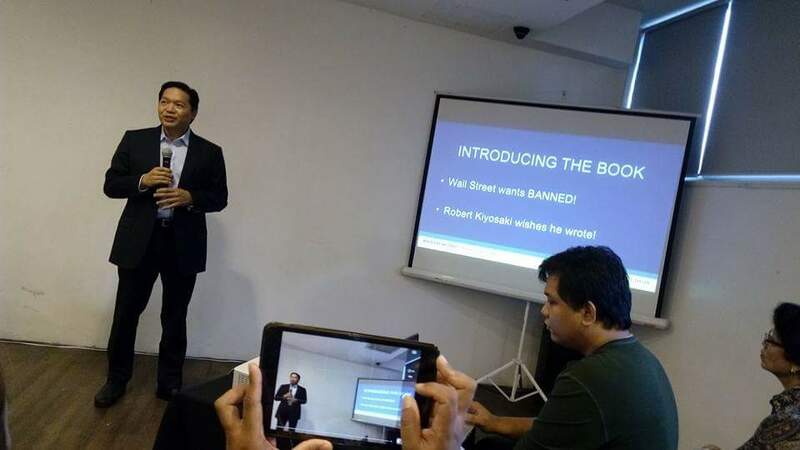 I was invited to attend Mr. Robert San Luis’ book launch at Fully Booked and I am so ecstatic to learn a few insights from this humble man. Photos from Tin Gonzaga of Today Online. I like his strategic ways when it comes to investing. He says that your success depends on the quality of information you receive and speed and ability with which you act on the information. Most people just plan and plan and plan without the full execution. I myself am guilty of this. Most Filipinos often settle for what they already have. A decent job with an acceptable salary (acceptable meaning as long as it provides food on the table, being able to buy our everyday necessities and such), being content with their achievements and never bothering to continue learning new skills, just because they think they have fully achieved what they desire and having the wrong concept of SUCCESS. I’m not the type to always think ahead. I have adapted Eckart Tolle’s philosophy of “Live in the Now”. I never thought about retirement, or if I’ll be financially stable when I reach the sexagenarian stage. My main motivation always comes from whatever is happening in the present moment. For me, thinking too much of the future only weakens my ability to be more focused on achieving my goals. Why? because planning too much can trigger stress hormones thus making you more anxious and I believe it affects your thought process (well at least for me). So, in order to make this book more useful to me is that I will take note of some factors and key points that Robert shared with us. Learning how we can stop working and retire sooner with passive income, how to invest wisely other than bonds and mutual funds. and how to make smarter financial decisions so I can have the retirement lifestyle I desire. 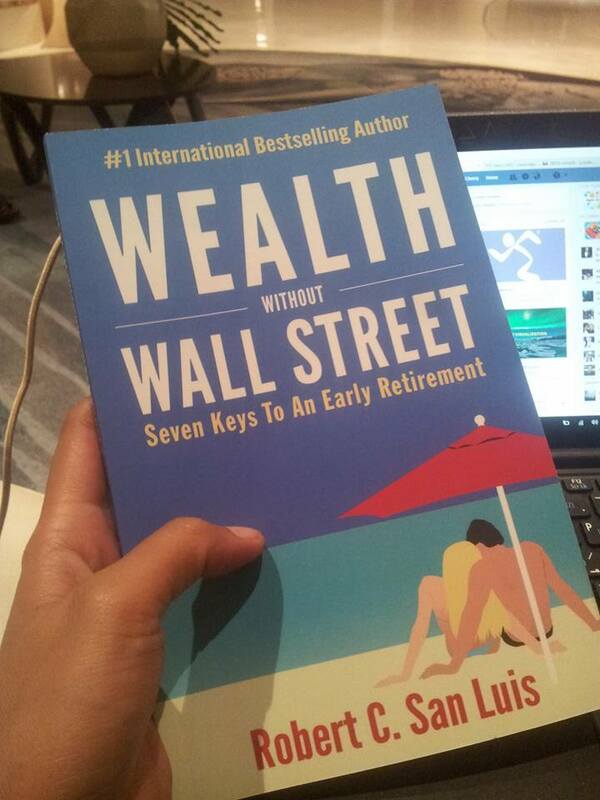 If you are like me who are fueled by ambition at the moment, grab this book at Fully Booked and National Bookstore. This only costs 299 pesos.